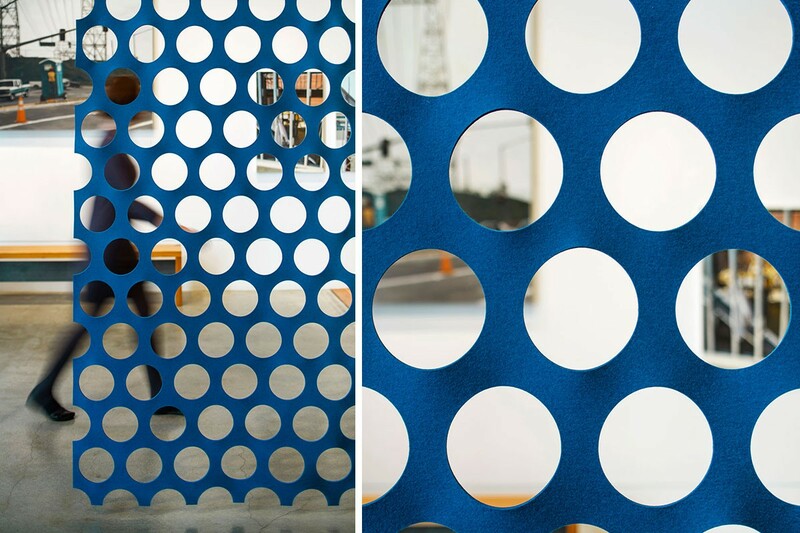 Polka 120 Hanging Panels are bold, graphic, and playful. 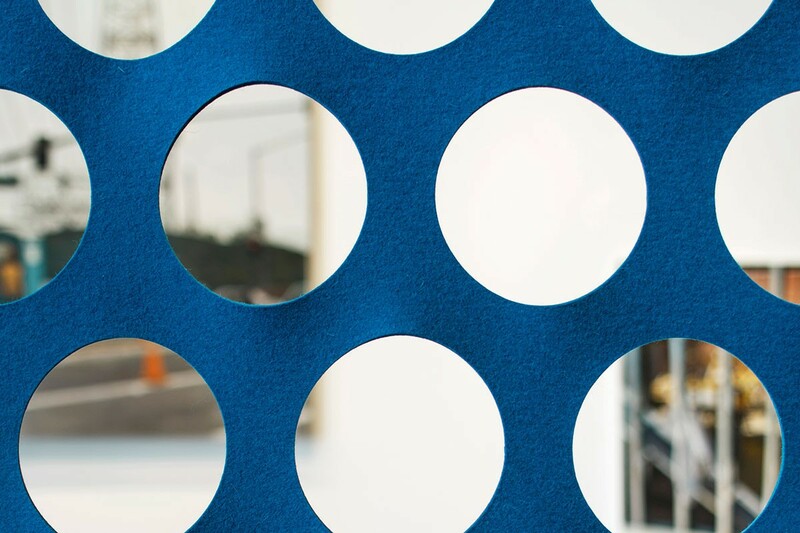 Shifts in circle patterning at a 120 degree offset create an unexpected, sophistical pattern. 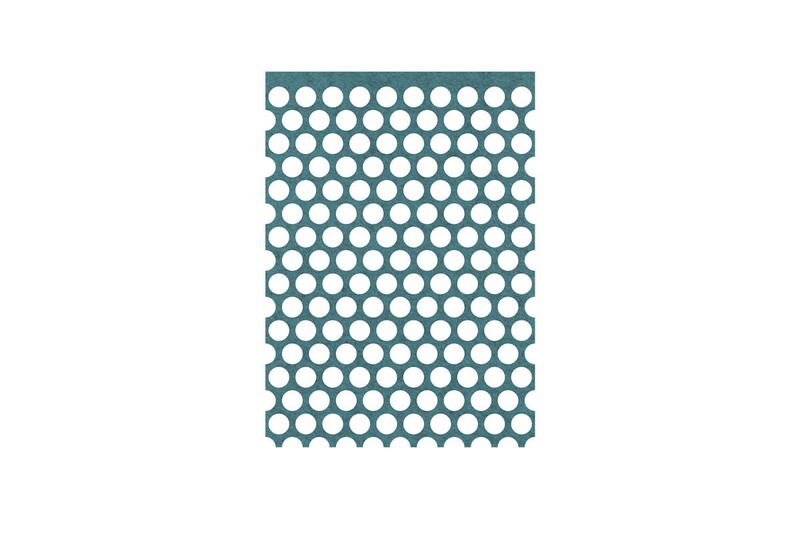 Circles are five inches in diameter and break the edge of the panel, allowing a smooth pattern transition between adjacent panels.